Keep your website visitors informed by updating your Events Calendar regularly. 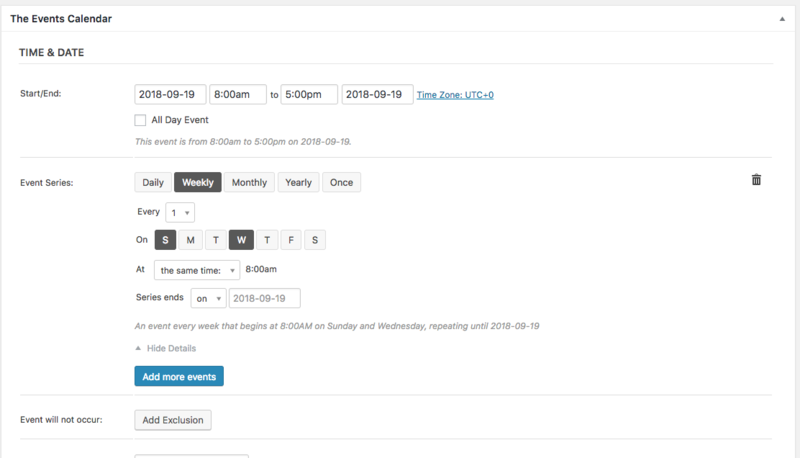 To add new events to your calendar, in your Dashboard click Events and then Add New. 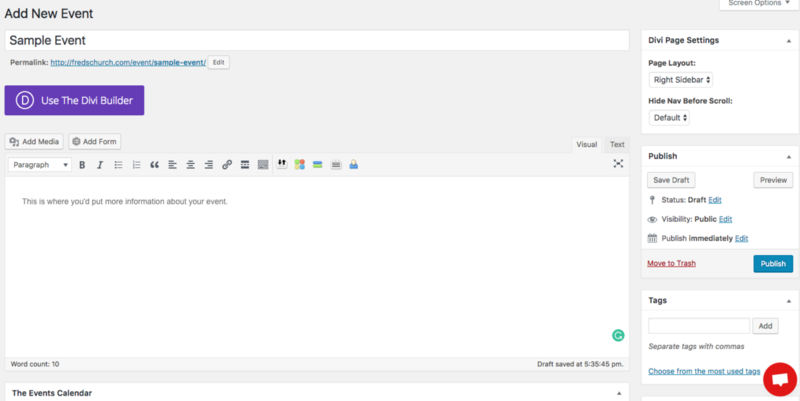 You can also add new events by clicking the Events tab in the black menu bar at the top of your page. To set a recurring event, click Add more events. Set when the event will occur again and then Add more events to set the recurring amount. Be sure to select when the series ends. If the series never ends, select never. Click the blue Publish button to add the event to your calendar.